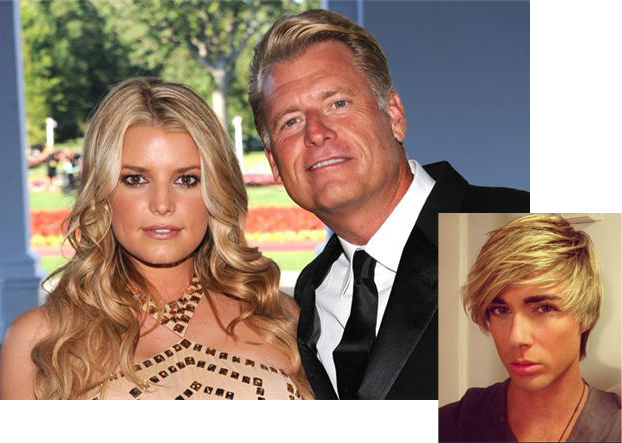 The National Enquirer recently broke the story that Jessica Simpson and Ashlee Simpson’s Baptist pastor dad Joe Simpson has come out as gay and getting a divorce from his wife of 34 years Tina. Tina, 52, filed for divorce in Texas last month, and cited "discord or conflict of personalities" as grounds in the court papers obtained by People magazine. Radar Online now claims in an exclusive that the 54-year-old has been dating 21 year old aspiring model Bryce Chandler Hill, on and off for about a year. 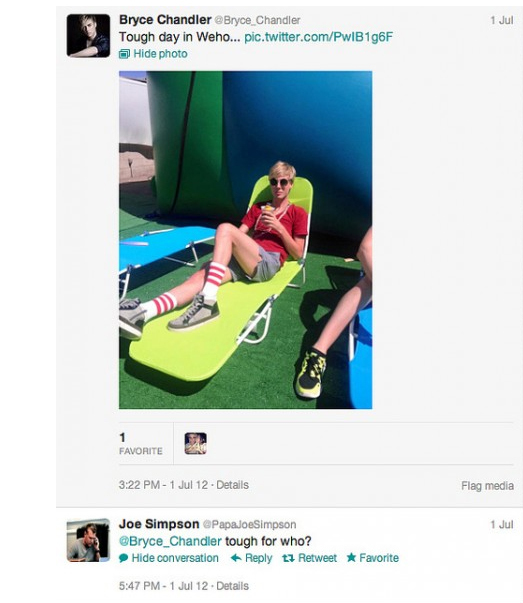 A source allegedly told Radar Online that Bryce and Joe were introduced by a mutual friend, who is close to Joe’s famous daughters Jessica and Ashlee. 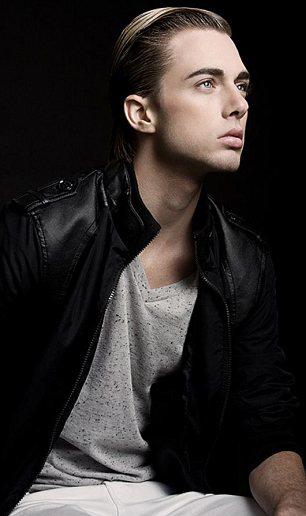 The insider reportedly told the website: ‘Joe Simpson being outed by the National Enquirer was no surprise to the gay community in Hollywood, Bryce has been bragging about hooking up with Joe for a while now. The insider claims that Jessica is allegedly coming to terms with the news that her father, who also acts as her manager, is gay, but was apparently blindsided by the revelation. The source said: ‘Jessica had absolutely no clue that her father was gay, not even the slightest inkling. She thinks she has very good gaydar, especially since a lot of her friends are gay, but she did not see this coming at all. The website reports that Jessica is doing her best to get her head around the shock but is having ‘difficulty’.The source reportedly said: ‘Jessica’s been trying to process the information slowly, but she’s having difficulty dealing with it. She can’t understand why Joe stayed married to Tina for so long, and can't help wondering how much of their life was a lie. Joe and Tina were first reported to have broken up earlier this year and this month put their Los Angeles home on the market for $4.4million.